THERE are some really lovely plants that are easy and rewarding to grow, and yet are not well known. One of these is the abutilon, commonly known as Chinese lanterns thanks to the brightly coloured flowers that hang from the branches. They must be close to the perfect shrub - not too big (about two to three metres), easy to care for, a good range of colours, non-stop flowering - what more could you want? They are mostly simple, single forms resembling a smallish hanging hibiscus flower, but there are some doubles. 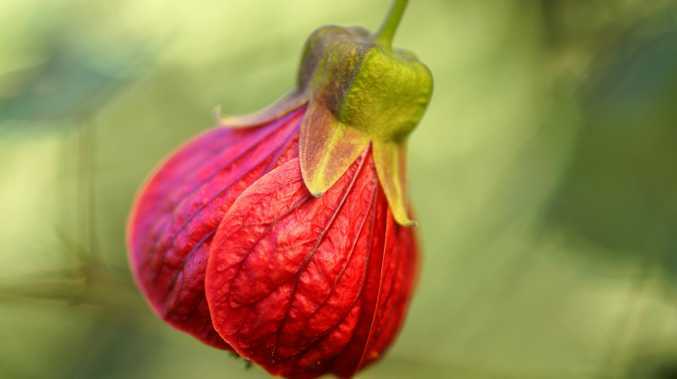 The abutilons that we grow are hybrids, most likely originating from tropic and sub-tropical Asia and America. They will tolerate heat and humidity, and nor will they fret if they are subjected to the occasional frost. Use them as a background planting in a tropical or cottage-style garden, or as a feature shrub. I've seen abutilons form an effective screen hiding a fence in a semi-shaded position in a tropical garden. Because they are naturally a bit open in their growth habit, you would need to prune a couple of times a year to maintain the tight, bushy growth needed for this situation. 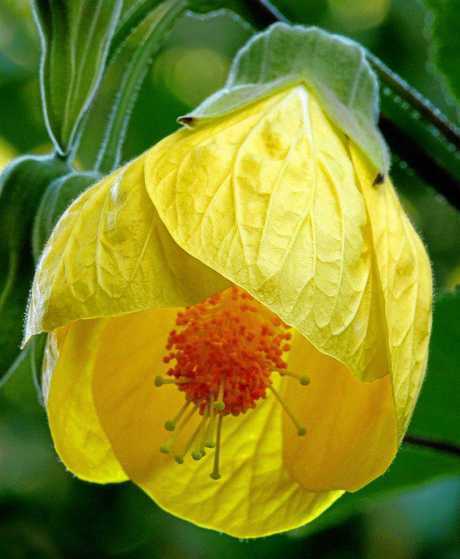 The ideal position for an abutilon is one that is fairly sheltered in full sun to semi-shade in fertile, well-drained soil which is rich in organic matter. They need to be kept well-watered during dry times, and appreciate some protection from the hot afternoon sun in summer. Keep the plants well mulched, and feed a couple of times a year with a balanced fertiliser. If they get stressed, usually from experiencing hot, dry conditions, they may be attacked by scale insects. Treat that using Eco-Oil oil, and do what you can to improve the growing environment. Abutilons are drop-dead gorgeous if you grow them as a standard. Choose a plant with a single tall, straight central stem and remove all the lower branches. Keep pruning the top to create a wonderful ball that will be smothered in flowers. Every year in my garden centre we have some standards which are created by plaiting the stems of three different coloured abutilons together. All three colours flower at the same time, so the effect is a spectacular riot of red, yellow and orange lanterns. With a total height of about 1.8-2m, these make a great statement in a large pot, ideally in a semi-shaded position.